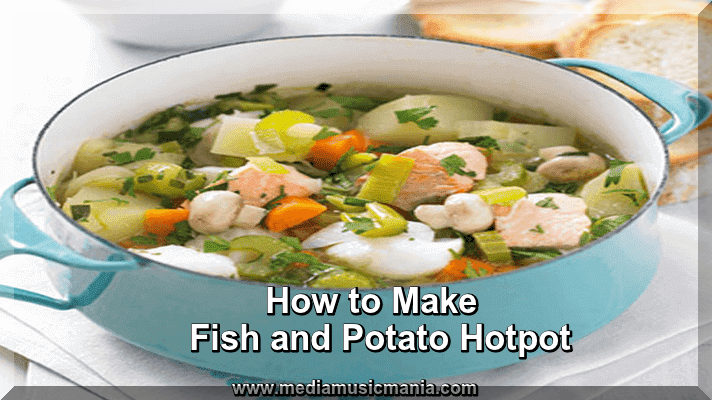 This post is about how to make Fish and Potato Hotpot. I am very fond of Fish, and also Potato is very delicious to mix with Fish, it is best for health and very good Food Tips. It is very nice to eat and it is easy way to prepare this dish. This dish is very favorite of all persons. Now I guide you step by step that how to make Fish and Potato Hotpot. Fish and Potato Hotpot is a delicious one pot meal for the whole family including lots of fish and topped with potato hotpot, comfort food at it's best. Heat oil in large saucepan over high heat. Add the leek, celery and Carrot. Reduce heast to medium, stir well, then cover and cook for 02 minutes. Meanwhile, toast the baguette slices until golden brown. Just before serving, stir the tarragon and parsley into the hotpot. Serve with yogurt and toasted baguette slices.